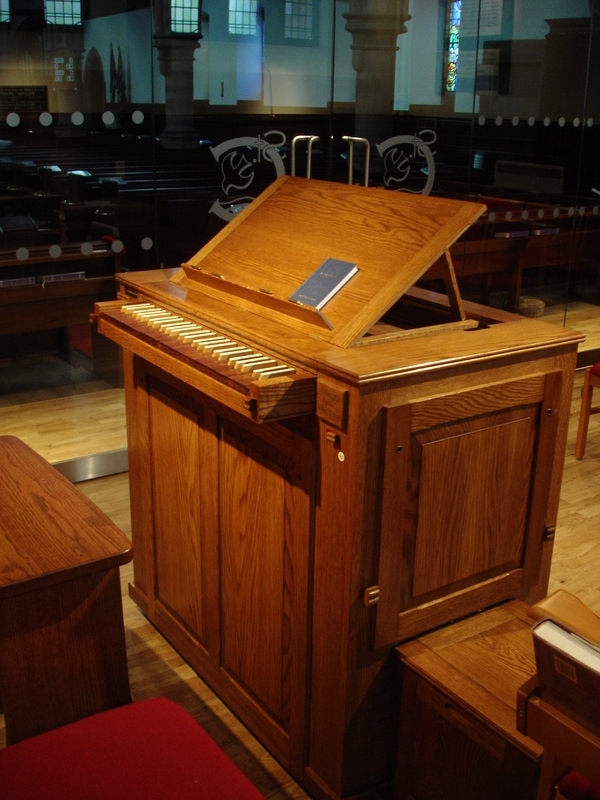 The mobile chamber organ, funded by a bequest from the late Mr. & Mrs. Sidney Leslie, was constructed by Harrison & Harrison and installed by them in July 2012. Dedicated to the memory of the Rev. Bill Christman, the first Minister of the St. Columba charge and a gifted musician, it is used primarily to lead worship in the Centenary Aisle. 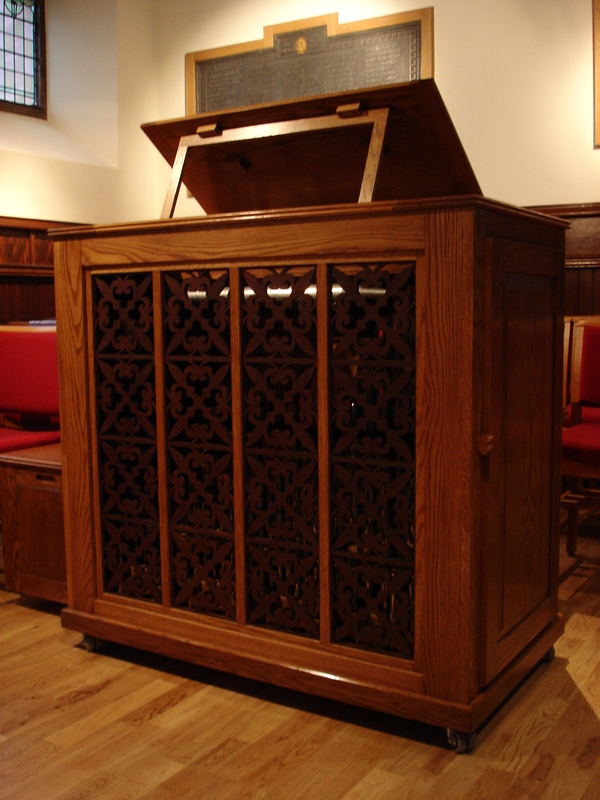 The instrument comprises a single manual, three speaking stops and a total of 165 pipes, housed in attractive oak casework. Having been in regular service use for over a year, the instrument received an inaugural public recital on September 10th Organist of St. Stephen’s Cathedral, Vienna.